I have several "Hairy Alumroot" plants in my garden. But I like to call them "Heuchera" as in "Hew-ker-ah" because Hairy Alumroot sounds like, well, who names a plant after its root characteristics anyway, if that is even how it got its name? So I go with Hew-ker-ah, because of the genus name Heuchera. This is Heuchera villosa 'Caramel', one of several new Hairy Alumroot Heucheras growing in my garden. Some day, I'll post pictures of all of them - 'Autumn Bride', 'Mocha', 'Citronella'. 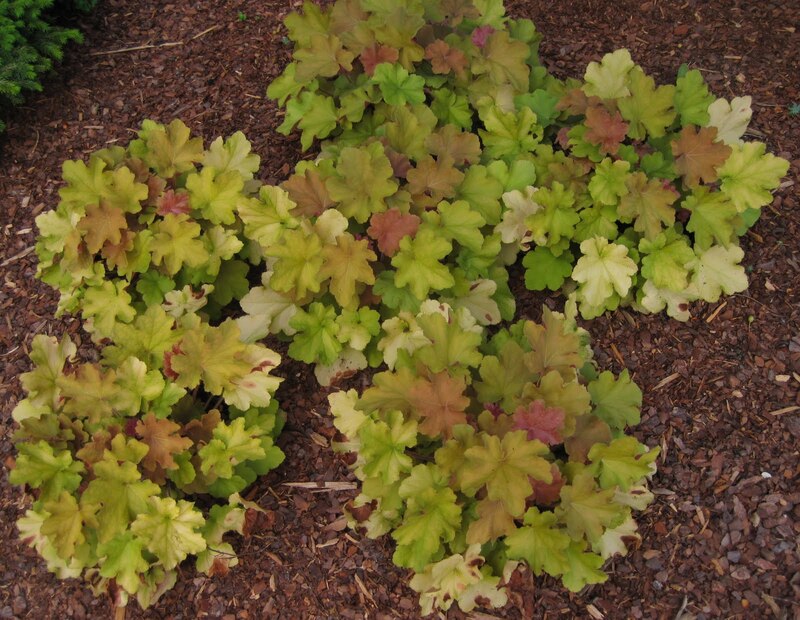 Heuchera villosa is a native plant and someone or someone(s) are doing a great job of breeding new colors into it. I don't have 'Caramel' but I do have 'Mocha' and like it. My favorite has to be 'Silver Scrolls' but I like almost all of them! As I was reading the "hairy..." I thought, those look like heucheras to me. It's good I kept reading to see that they are indeed one of those lovely new heucheras. I wonder if I have room for some more. I have never heard of the common name hair alumroot,but I don't think I've seen H. villosa out here much either. I also am a big fan of Heuchera. I've never heard the common name hairy alumroot, but have seen it referenced as Coral Bells. I'm looking for the caramel variety this weekend - beautiful!